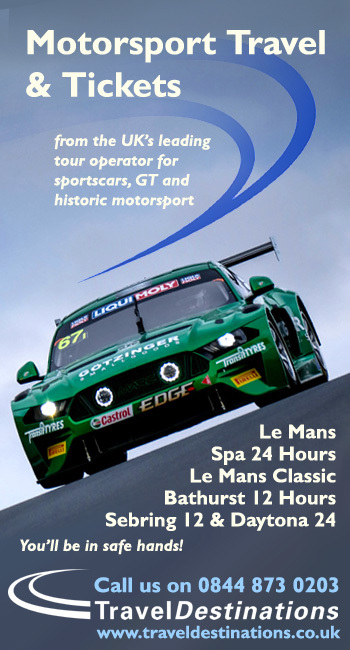 DSC is now on-site at Mount Panorama ahead of this weekend’s Bathurst 12 Hour. Here the DSC deputy editor’s first impressions from the paddock. 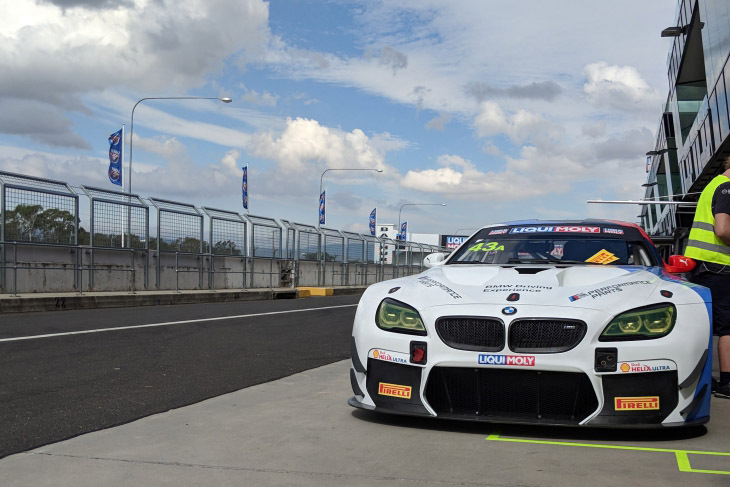 The only man to win Bathurst’s three majors, the Bathurst 1000, Bathurst 6 Hour and Bathurst 12 Hour, Paul Morris, has been announced as a late addition to the 2018 12-hour grid. 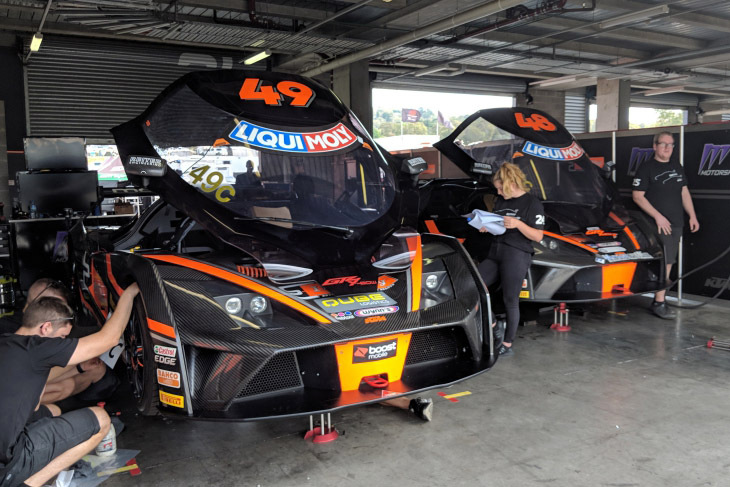 Morris will join signings Grant Denyer and Garry Jacobson as late additions amongst the MARC Cars Australia squad in the Invitational class this weekend. 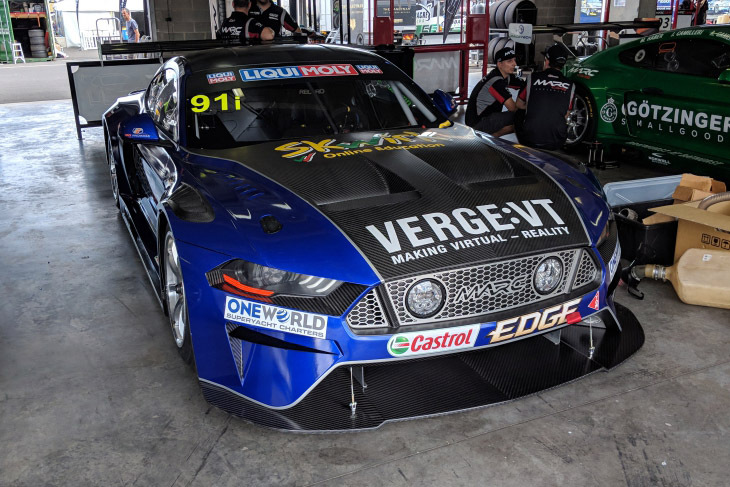 Morris will jump into the #54 car with Tony Alford, Kyle Alford and Chad Parrish, while Denyer and Super2 Series front runner Jacobson will join young-gun Tyler Everingham in the #94 car. 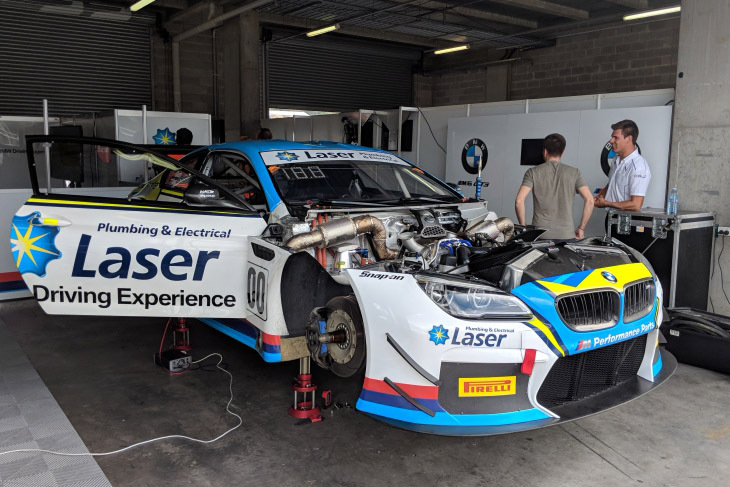 Former BTCC driver James Kaye will miss the event due to business commitments in the UK. 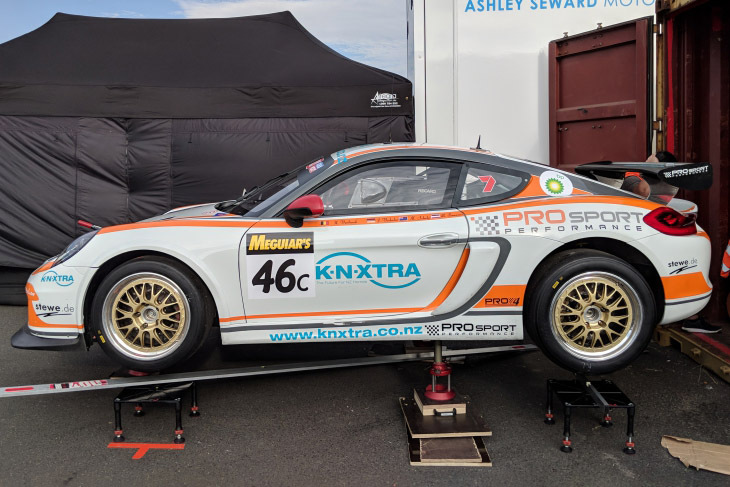 Elsewhere, Ginetta Cars Australia has revealed the driver crews for its two G55 GT4s. 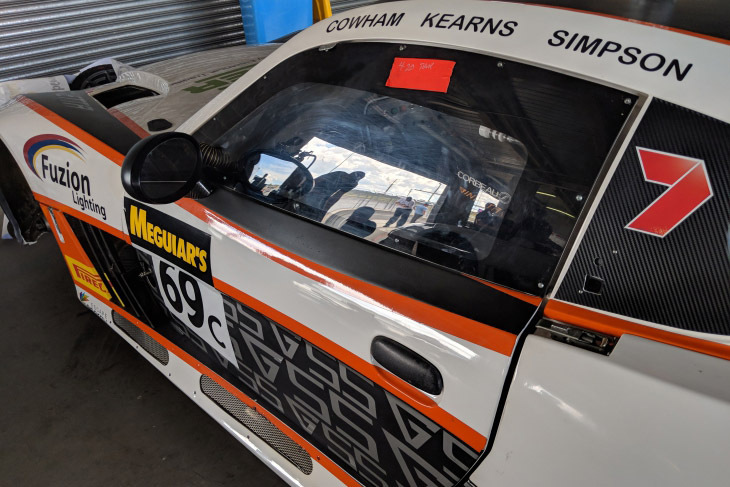 Factory Ginetta driver Mike Simpson heads up the #77 entry, the Englishman joining reigning GT4 class podium finishers Lindsay Kearns and Coleby Cowham. 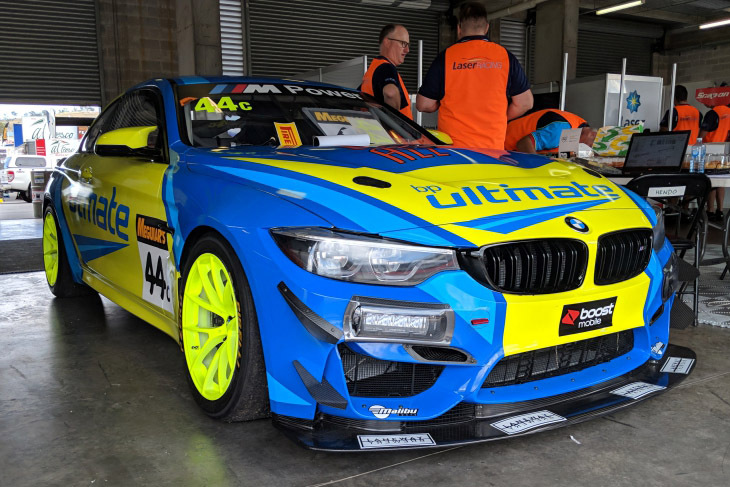 The Queensland pair are long-time endurance partners, having claimed class victory at the Bathurst 6 Hour production car race and Kearns being an experienced endurance driver with MARC Cars Australia. 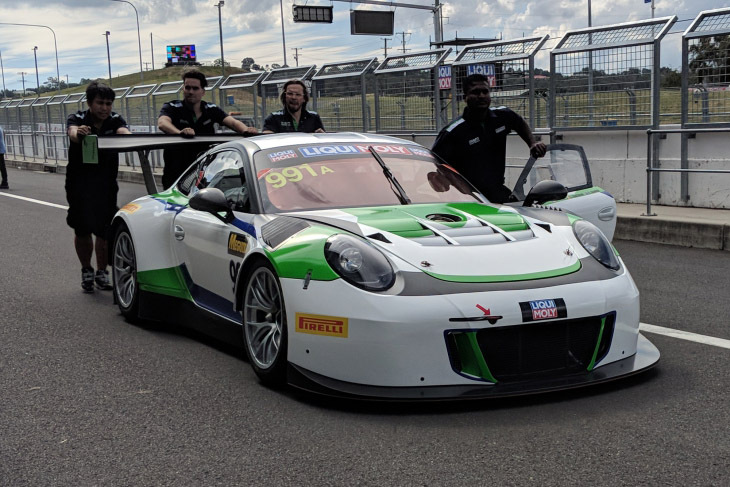 The second entry (#88) will be fielded by Ginetta junior driver and 2017 British GT4 champion Will Tregurtha and former Aussie Racing Car teammates Ben Walsh and Jamie Robson. 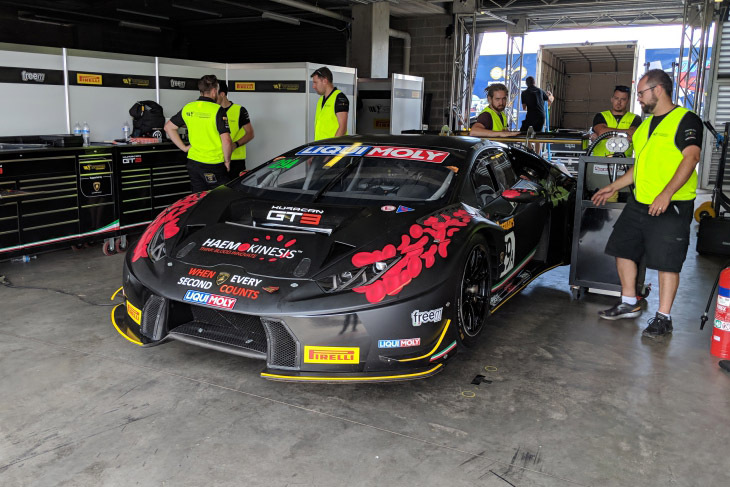 Having Tregurtha in the #88 car means that both of HHC Motorsport’s 2017 British GT4 title winners will have competed in the two big races to start the year (the Rolex 24 Hours and Bathurst 12 Hour), following Stuart Middleton’s second place finish at Daytona with Action Express as part of his Sunoco Challenge prize. DSC bumped into WRT driver Stuart Leonard, and got some pre-event thoughts. 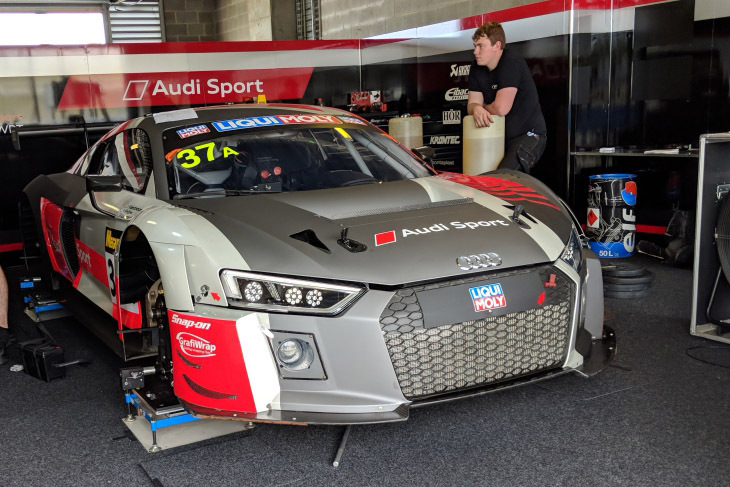 For this weekend’s encounter, Leonard will race in the Pro class with Robin Frijns and Dries Vanthoor in the #37 WRT Audi, giving him a real shot at a good result in his Mount Panorama debut. 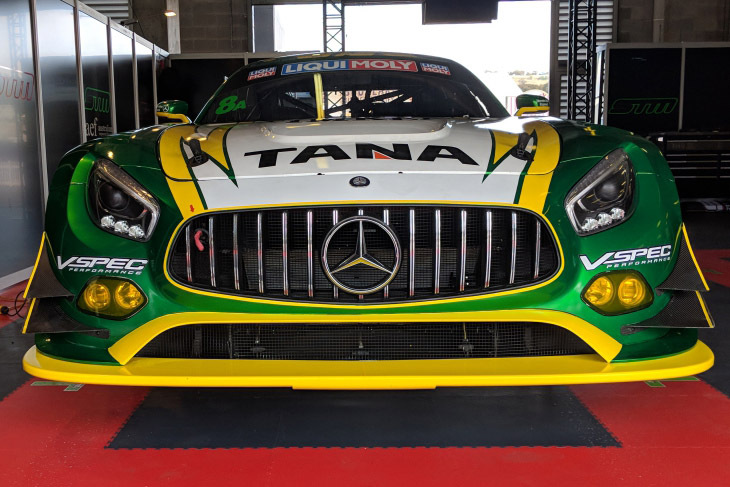 During its first tour of the paddock, DSC also found Strakka Racing’s Nick Leventis, who understandably, is eager to get out on track too, and race his team’s new Mercedes AMG for the first time in what will be the British team’s first trip to Australia. “The Mercedes and McLaren (which the team ran last year) are very different cars. It’s like black and white for us as a team. 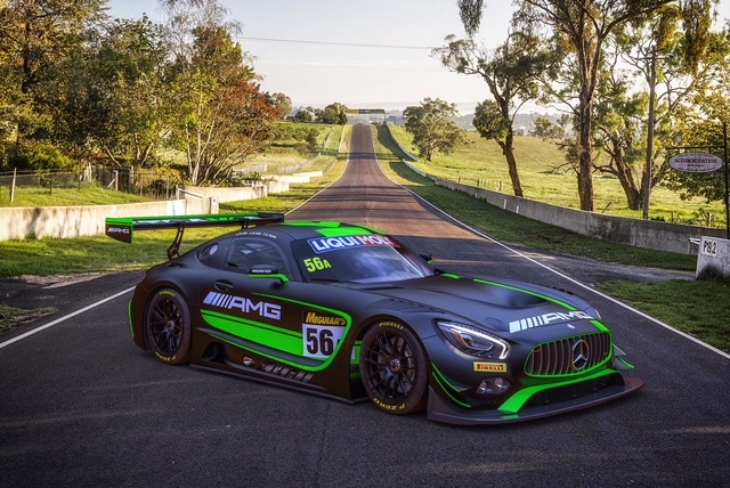 The Mercedes AMG package is a better fit for us as a team and where we want to go. the car is very strong and we’re looking to showing what we can do. “Straight out of the box we’ve had trouble free running, which is great. 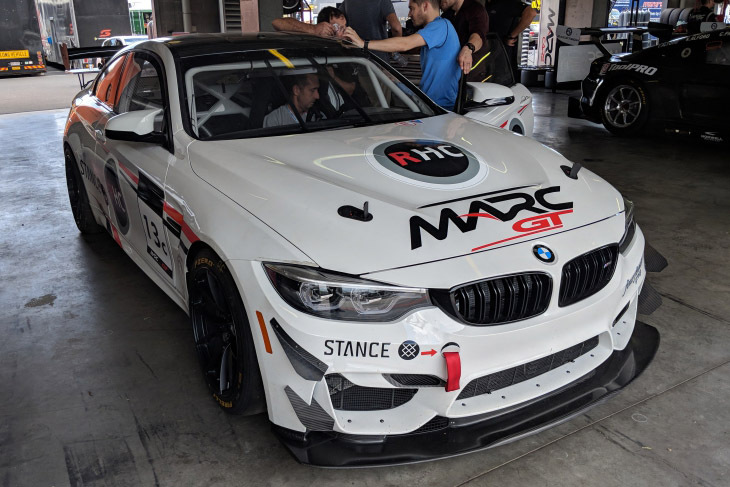 So I fancy our chances at a good result, as obviously we have two very strong line-ups, it’s great to have Maxi Buhk and Maxi Gotz in a car, with Alvaro Parente, who’s fresh from a great run at Daytona. “We’ve had a lot of support from Mercedes. We’re confident, we have brand new cars, which had zero miles on them when we received them. They were competitive from the outset at Barcelona too, so credit to Mercedes. 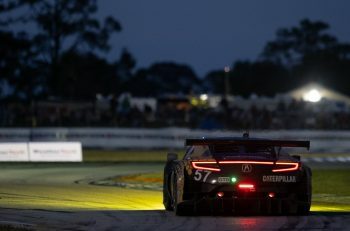 “This event is a very different animal, we’ve got a lot of endurance experience, but this is a very competitive field, it’s by far the best GT field we’ve seen. It’ll be great racing. Two cars DSC had no chance of seeing trackside today were the two Bentley Team M-Sport Continental GT3s, because they haven’t yet arrived. Apparently the team is due to receive the cars late, on Thursday night, which means they’ll be here in time for the first track action on Friday, but it will be tight. 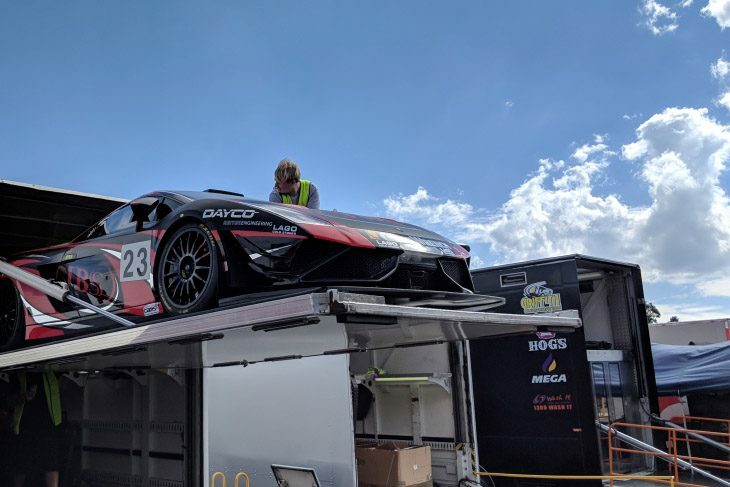 Another team that’s had its shipping containers arrive late is Strakka Racing. 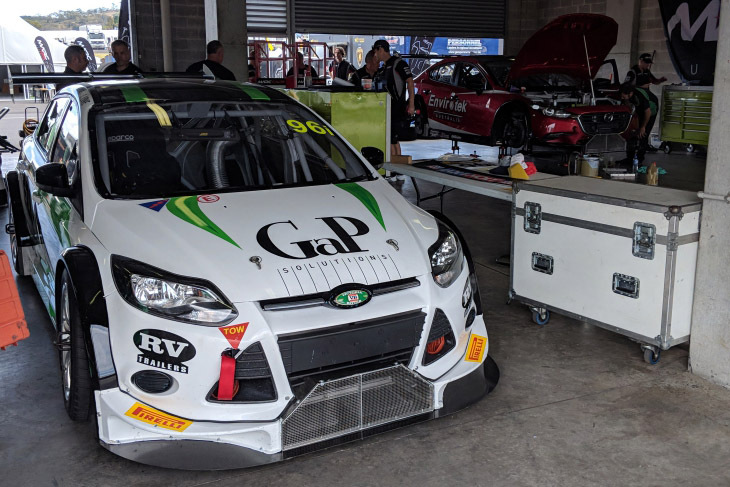 Team owner Nick Leventis told DSC that its pair of cars are trackside, but its other kit is yet to arrive. Like M-Sport’s, Strakka’s containers are due to arrive before the track action. Tomorrow is the media day trackside, with the first track action beginning on Friday. 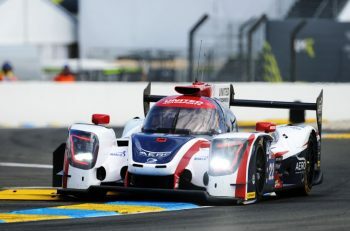 You can follow the action with live streaming, and with the radio commentary feed from Radio Le Mans. 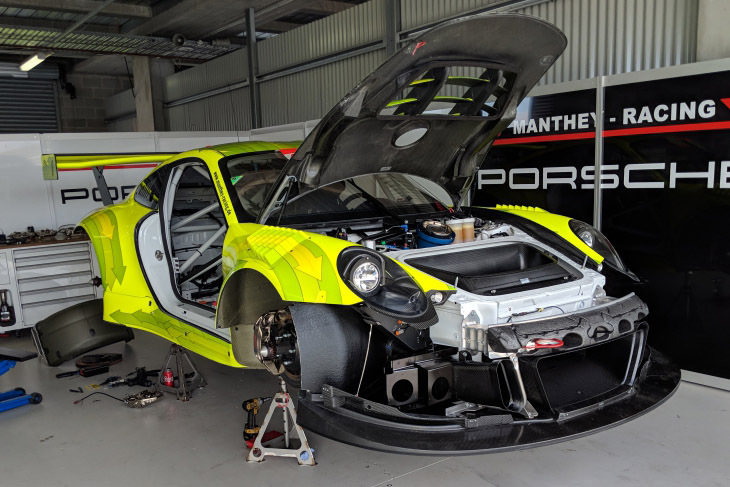 Over the weekend RLM will stream all the sessions on its RS1 station; in the booth will be Bathurst 12 Hour regulars John Hindhaugh and Richard Craill, as well as Jonny Palmer. Live timing is also available. 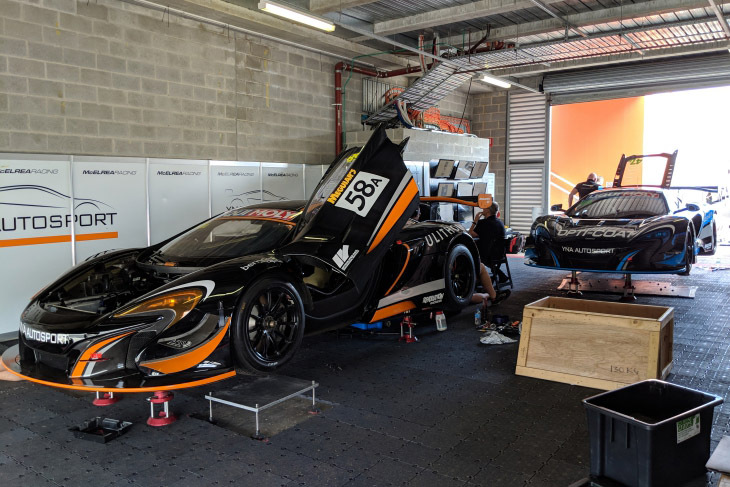 Sunday’s race is set to start at 5:45am local time in New South Wales, and DSC will of course be posting reports on all the sessions, the race, as well as features and news live from trackside.